Whether advancing a cause, making a request, or persuading others of the merits of our view, negotiating for what we want–often and effectively–is a survival technique everyone needs. Luckily, it’s a skill that can be learned. Every day is a negotiation for an entrepreneur. Whether advancing a cause, making a request, or persuading others of the merits of our view, negotiating for what we want–often and effectively–is a survival technique for a business owner. We can use it to go after what we want, to create options where there were previously none, and we can use it to defend what is ours and what we need. Perhaps the best news of all, this is a skill that can be learned. Often as we make a request, the very last thing we’re thinking about is pace. Yet, the best negotiators in the world take an active role in shaping a conversation’s cadence. Ideally, you’ll make your ask progressively, exposing more and more of the research you’ve done in a gradual manner. Why is this slow peeling of the onion important? Because in a negotiation, knowledge is power and you don’t need to show your entire hand all at once. Let’s say you are negotiating with a vendor to lower the cost of its software. You may have three critical forces underpinning your ask: (1) you know of a competing vendor with better costs, (2) you’re under a lot pressure to cut the costs of the provider by 5 percent, and (3) you’d prefer to stick with this vendor at a lower rate than to go with a new vendor, based on the time investment to find and get the new vendor up to speed. Call on your strongest piece of evidence (which is often the least controversial or revealing about your situation) first. By discussing competitive rates, for example, you may find that you get a conciliatory reaction off the bat. A buyer’s natural advantage is to compare prices and pick the best deal. Sure, you may have prepared more than that, but why use it if you don’t have to? Be judicious with what you lay on the table, including how quickly you do it. Putting a key reasoning out there and then allowing ample time for the dialogue volley helps you maintain power in the conversation. You are deciding what to reveal when—if it’s even needed–and giving your counterpart time to digest each point. Also realize that often there’s a data point that increases our vulnerability or exposure in a conversation. For example, sharing our deepest preferences or the upsetting pressures we’re under can give the other side leverage. These are some of the reasons why we don’t want to share, ‘‘I’ll be crushed if I don’t get this raise’’ or ‘‘I really need you say ‘yes’ to my request of lowering your fees because I don’t have the time or energy to find a replacement.’’ The message here is an important one. Knowledge and preparation give you a huge advantage but there’s an art to unloading that information and weaving it into dialogue. 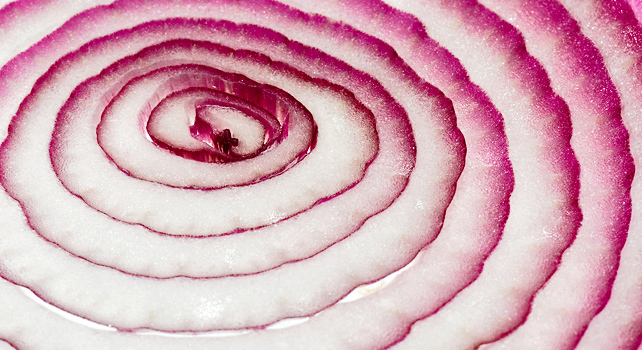 Peel the onion back, layer by layer, as you exchange views, calling only on what you need, when you need it. For example, an apparel company is not happy with the figure a consulting firm quotes them for some upcoming employee training work. For $20,000, the consulting firm will create a custom curriculum for the apparel company’s two hundred employees. The consulting firm doesn’t want to budge on its $20,000 price tag even when the client company pushes back on the figure. Rather than lowering their rate, the consultants attempt to incentivize the client with free additions that sound generous, but are actually low cost and low effort to the firm. By the firm throwing in two one-hour follow-up webinars, to reinforce the training curriculum among participants, the client feels it’s getting a lot for its money. The consultants, however, don’t have to use their most expensive trainer for the webinars and won’t incur travel costs or excessive preparation time. The deal is accepted and both parties are satisfied. The consultants still get $20,000 and the client feels it has negotiated bonus offerings that make the price tag fairer. Rather than do what can feel natural, which is to acquiesce and lower your number, consider a less intuitive move, which is upholding your figure, but offering something new to the mix. This is especially effective if you know what is particularly important to the other side. This approach takes a little practice, but it’s effectiveness at helping you hold on to what’s important is unmatched. You come across as willing to flex and bend, yet you remain assertive and firm where it matters most. 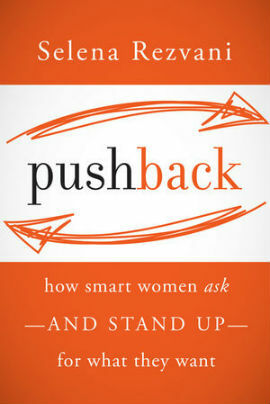 Reprinted by permission of the publisher, John Wiley & Sons, Inc., from Pushback: How Smart Women Ask—And Stand Up—For What They Want by Selena Rezvani. Copyright (c) 2012 by John Wiley & Sons, Inc. All rights reserved.